Interesting piece of research out from the CIPD today looking organisational risks associated with pay and reward of employees. Communication, of course, being the thing we blame, when we don’t get what we hoped to achieve - ‘oh, of course, it needed to be better communicated’. The real problem is much more likely to be that reward systems haven’t actually been effectively designed to generate the behavioural changes or objectives that are desired – many being based upon erroneous assumptions about motivations and behaviours. Ineffective reward strategy causing poor employee relations. Well, at least the potential fall-out from these problems will be less significant than what we’ve already experienced in our banks. But it still means that we’re not getting the behaviour and performance that we’re after from our employees, and that we’re wasting very large amounts of money in the process. I have to admit to being slightly dazed by these findings. How organisations can be continuing to waste one of their largest expenditures in the present economic environment is beyond me. And , come on HR! If you’re organisation isn’t prepared to meet the risks in your reward strategy, do something about it! Jon: Financial services HR departments are partly if not largely to blame for the banks’ failures and therefore our current economic miseries. And here’s a great opportunity for them to put the situation right. Rick: The idea that City HR functions could have curbed the massive bankers’ bonuses, thereby reining in the risk taking culture and avoiding the financial crisis, is completely fanciful. People within the investment banks who warned that the industry’s practices were unstable and unsustainable were ignored for the same reasons as those politicians who advocated bank regulation at the height of the boom. Lots of people were making lots of money and anyone who suggested caution was looked upon with the same contempt as the swotty teetotaller at a student party. Jon:I still don’t agree with you though – it was down to HR to ensure these organisations’ cultures DID enable this sort of challenge and debate. I think my perspective is supported by the recent letter sent by a group of economists to the Queen explaining why no one foresaw the timing, extent and severity of the recession. The letter tells of the "psychology of denial" leading to "a failure of the collective imagination of many bright people". 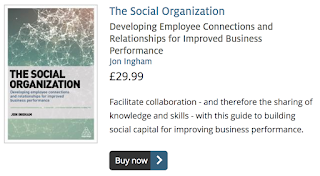 One of the most critical things that HR can do is to develop an environment in which people are able to challenge each other and to take effective decisions, as individuals, and as groups, within our organisations. And I find it immensely interesting that within ‘behavioural economics’, there is a clear move within this field towards incorporating the way people take often illogical decisions into account, often being informed by on findings from neuroscience. But there’s very little sign of a similar developments within HR (which you might have thought would be much more easily influenced by things which have a direct influence on people management). “We are doing a small project to identify how we could ensure alignment of senior HR team members with the business. To explain my answer first of all, although I do know what a couple of my clients have been doing in this area, I wouldn’t want to share their work, and in any case I don’t generally believe that what works for one organisation will necessarily work elsewhere. So I hope it will be OK if I answer the question by describing the options that are available for you to do this. And the first, most obvious option has to be to use your existing performance management system to ensure that your senior HR people are set performance objectives that align with and cascade from your business objectives, and that they are reviewed against these objectives – just like everyone else. Your existing competencies should be able to fulfil the same role – or you could look at a set of HR competencies. Either of these two approaches will allow alignment to be identified, but neither of them provides a specific measure of alignment. To get this, you could use a tool like the HCM value triangle and ask individual team members and others they work with to evaluate the proportion of their time / activity / output that is focused on value for money, adding value and creating value, or even isn’t value at all. For maximum alignment, you would look for as much of this to be focused on adding and creating value as possible. 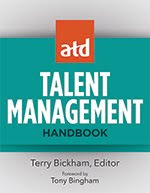 You’ll find some examples of HR alignment measures in this book as well. 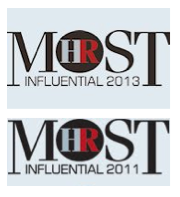 However, my experience suggests that identifying HR measures is never actually that hard. When it is, it is because the objectives that you’re trying to measure still aren’t clear. You need to ensure that you are – that you fully understand what you mean by alignment, and why this is important to you. Once you are clear about this, using one or more of the options described above, I would expect KPIs to be fairly readily available to you. Please do come back to me again (perhaps using the comments to this post) to let me know how you get on. Other readers – anything else to add? My favourite session at SHRM’s annual conference (from the reviews I’ve seen and listened to) was David’s Rock’s presentation on findings from neuroscience (listen to Peter Cayton’s interview on Total Picture Radio – and also see also my write-up of his session at the CIPD conference a couple of years ago). Attention is limited and we therefore only pay fleeting interest to things. We only actively focus on one thing at a time but we multi task by flitting between this and other things. The social world is very important. Our brains are wired to connect to and relate with people. We can improve our and others’ performance by understanding and changing our brains. We can change our brains by focusing on certain things and practicing certain behaviours repetitively. I think one interesting point arising from these lessons (that Rock also referred to) is that using new social technologies, and using them simultaneously in the way we tend to (eg keeping Facebook open while we’re working) results in our brains forming connections in new ways. Gen Y are different because they’ve built their brains differently (and at a point where their brains were developing more rapidly). Secondly, Rock notes that these new technologies respond to our limited attention and need for relatedness. The technology responds to human goals, not the other way around. Enterprise 2.0 is a human not a technology related change (something I’ve referred to previously in my posts and my own podcasts on HR 2.0). The new carnival is being hosted by InfoHRM. Do take a look. In this show, we discuss the current economic environment, particularly in Ireland and the UK. And we talk about what employers are doing to deal with the impacts of the recession, discussing in particular, British Airways’ recent wheeze to ask staff to work with no pay. Jon also discusses passion and engagement, in connection with the MacLeaod review in the UK, and with employees of the French firm of New Fabris threatening to blow up their factory. In early June, I noted that I was experiencing problems accessing my blog. I later realised that this wasn’t just limited to my blog, but was something that many Google Blogger blogs are experiencing. So I made the changes that Google have been suggesting (for example, removing my Friend Connect widget) and thought this had resolved the problem. However, I met someone earlier in the week who was still experiencing problems and I’m struggling to understand what else I might be able to do. (It should at least be a temporary problem as I’m sure Google will sort it soon!). I’m hoping this is now a very limited problem, as no one else has been in touch to tell me about these problems, but I do want to do everything I can to resolve them and avoid you having them again. - Whether this is something yo’ve experienced after reading this post or before. You can either leave me a comment below (or if you can’t open this page to leave me a comment! ), please email me at info [at] strategic [dash] hcm [dot] com. Don’t forget, you can avoid any potential problems by subscribing to my blog feed in your reader at http://feeds.feedburner.com/JonIngham or via email at http://feedburner.google.com/fb/a/mailverify?uri=JonIngham. 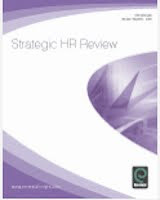 David MacLeod’s review of employee engagement has also been published today. 157 pages this time and more required reading for HR! The report is introduced by Peter Mandelson who in typical fashion, oversells it by claiming that the report “sets out for the first time the evidence that underpins what we all know intuitively”. Despite this, there is a lot in here, including useful stats comparing engagement levels reported from different survey providers, and lots of short case studies too. Many people we spoke to also pointed to the limitations of an approach which regards the workforce en masse as ‘human resources’ leading to a monolithic and one-dimensional view of people. As Will Hutton, Executive Vice Chair of the Work Foundation told us: “We think of organisations as a network of transactions. They are of course also a social network. “Firstly, there are still too many chief executives and senior managers who are unaware of employee engagement or are still to be convinced of its benefits. Some are put off by evidence that the benefits of investing in engagement approaches may take time to show through in performance. Others experience little external incentive: data from America shows that the stock market does not fully value intangibles such as employee engagement, even when they are made visible by a publicly available employee survey, even though higher employee satisfaction is associated with stronger company share price performance. Accenture point out that under half of chief financial officers appear to understand the return on their investments in human capital. I agree with Mintzberg’s and Emmott’s perspectives (and I am, by the way, always careful to talk about people as providers of human capital, not the human capital itself). So I’m not that impressed with the report’s main recommendations the government and that this should use its unique position to raise awareness of employee engagement benefits and techniques and to ensure its support is aligned and tailored to the needs of different organisations in different sectors of the economy seeking to enhance levels of employee engagement. This is at least relatively simple to do of course. Encouraging companies to shift from command and control to a more listening focused style of leadership is much harder to do, but this is where the real prize lies. And this is also the main opportunity for HR. I’d go a shade further. HR functions should take accountability for engagement levels and for ensuring they’re improved. They may not be responsible for engaging individual employees, but they should ensure that leaders and motivated and capable of doing this for themselves. I’m just catching up on my TV viewing on Sky + following a recent business trip. First up, The Naked Office. I’m sure this will have already been reviewed elsewhere (see for example, this interview in the Management blog), but I thought it was such provoking viewing that it was worth a quick review. For those of you who haven’t seen it, which I presume will include most people outside the UK (although you’ll find quite a lot of it on You Tube – see for example, the clip inserted below), the programme dealt with a Newcastle based ad agency, ‘onebestway’, that calls in ‘top business psychologist’ David Taylor to advise them on their future. Taylor emphasis the need to ‘bring the truth in the room’ and suggests one way of doing this is to have a ‘naked Friday’ (not a particularly original idea as it was featured by a BBC3 series last year). I’m not sure about the need to ask staff to strip, and the ethics are obviously dubious, but I think the central idea of showing how much a team can do together, by working together as one, is spot on. I often use exercises similar to Taylor’s one with a tent, to show the major impact a little bit more communication and leadership can have. And it’s why I increasingly talk about social capital, rather than just human capital. It’s the relationships between people rather than just the people themselves that counts. The other way of looking at it of course is that this was just a publicity stunt for David Taylor and his book, the Naked Leader; the ad agency and its vision to ‘make businesses stand out’; and Virgin 1, which clearly does need a bit of a relaunch. And I think given that this is almost certainly a significant part of the rationale, they could have done with a slightly more enticing blog. I’ve been asked by a contact of mine to suggest some resources for information on companies using web 2.0 applications within HR ie for recruitment, learning, engagement etc. This is my short list. Any suggestions – what have I missed? As well as the above blogs and podcasts, there are a few print reports that I will also suggest may be useful, for example, the latest CIPD report. Again, any others? If you think the MJ Memorial was the big event this week, you’re wrong! Fistful of Talent has just published it’s fourth round of talent management blog power rankings and this blog is placed at number 13 out of 130 Talent, HR and Recruiting-related blogs. Thanks to everyone at FOT, definitely one of my top reads. 13. 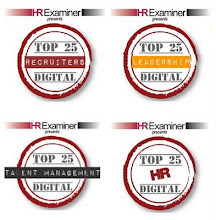 Jon Ingham's Strategic HCM (power index rating - 37 | v. 2.0 ranking - N/A). OK, so it’s now two years since I’ve been posting on this blog. And I’m looking forward to a third. But I’m also keen to make this blog as valuable as I can for you. So that you’ll keep reading. Because that makes the writing feel much more worthwhile. So, I’d really value your input, as I reflect on what I’m going to do with this blog this year. What do you like?, what don’t you like?, what would you like to see more of / less of? Please let me know, in the comments below, or send me an email, and I’ll do my best to provide it for you. The key point for me is that HCM strategy starts with organisational capability / human capital, not the business strategy. If this strategy is going to create as well as add value to the business, then the business strategy needs to be informed by, as well as supported by the HCM strategy. So the first question is something about what are we trying to do; what type of organisation are we, or do we want to become; or more specifically, what is it about our people, or our people management strategy, that can help us achieve competitive advantage through our people? The HCM strategy then come from a diagnosis against this desired future state and it leads onto the development of an HCM scorecard, identifying the measures that will support the implementation of the strategy. Note that in my view, the measures come here, not earlier on. Strategy development should be a creative, artful process in which visions and stories are likely to have more impact than metrics and measurements. I know I disagree with lots of people on this point. Also disagreeing with Dave Ulrich in his new book, I also think the focus is inside-out not outside-in. It comes from looking at what make people different within a particular organisation and what this might mean in terms of the capability, engagement etc that might be leveraged better in order to produce significantly more developed capabilities than the organisation’s competitors (or in the public and voluntary sectors, will enable significant transformation in the level of services that are provided). Outside-in perspectives lead to added not created value strategies, and therefore less impact on the business. Finally, the strategy needs to be implemented through a combined focus on people, the organisation, and HR and management processes. And these often / usually need to be supported by further development of the HR and leadership / management teams. I’m going to be posting quite a few blogs about this during July, so watch this space, or subscribe to my RSS feed in your reader at http://feeds.feedburner.com/JonIngham or via email at http://feedburner.google.com/fb/a/mailverify?uri=JonIngham. Does blogging support or hinder conference attendance? I’ve been tracking commentary (via blogs and twitter etc) on three different conferences recently – the Social Recruiting summit at the Googleplex, Enterprise 2.0 in and SHRM annual conference in New Orleans. All have been easy and interesting to follow, although this is still a long way from being anything like the experience you can get from physical attendance. I can also image that this much social communication must add value to the attendees who are using these tools. I have to imagine as I’ve not yet attended one where the tools are being used extensively – I usually end up being the sole person tweeting or blogging, which I still find helpful to me, and I hope others do too, but it is obviously a much more solitary experience. In fact, if I were to want to attend any of these conferences next year, I would probably do so in order to meet and network with these other bloggers and tweeters, rather than for anything on the formal agenda of these events. But am I (and probably you, as a reader of this blog) in a minority here? The good news is that heavy social media reporting is going to encourage these people to start using the tools. (It’s encouraging that the SHRM conference post on the ‘HR Bloggers’ session, Who Are These People and Why Should I Care?, is one of the most popular, but then again this is based upon a population of people who are already reading a blog). The danger is I guess that even though these people are only going to see or know about a small fraction of the conversation going on on-line (blogs, tweets, SHRM Connect etc), this may be enough to make them feel part of the ‘out-crowd’, making them feel less welcome. Is the heavy focus on media one reason why attendance at the SHRM conference has dropped 4000 people from 2008? And how do we balance our need to connect and build relationships with people using these tools, while not excluding those who don’t?